i have a 60 channels,i can check multicast stream monitor analizer and VLC. how to watch it ? how to find free software for multicast streaming software? pls give me advice ! We're going to need a little more information, I'm afraid? What, exactly, do you have that you want to look at, and in what format(s)? Multicast has a pretty strong definition in the vicinity of "streaming", but I don't think that's what you mean; I think you mean "multicasting", which is not a network-layer thing at all. 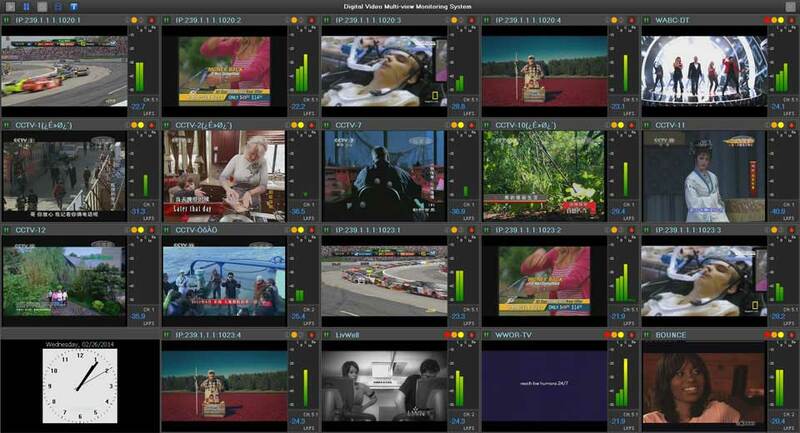 i need Internet Streaming Video Multiviewer Monitor software,its IPTV, HTTP Live Streaming (HLS), RTMP (Flash), RTSP, Smooth Streaming protocols. That is a pretty complicated task to accomplish, and frankly what they're charging for that software doesn't seem out of line to me. It might actually be a little cheap. Try Mcomms Monitoring Solutions. It meets your requirements. work for mr fine, can run many copies on many screens. work, but has one problem, i has 5 Ethernet card, and can't select one for UDP multicast. maybe need instal TMS server too. we have a UDP streaming including 40 channels in 100mb bandwidth. Our client re-transmission to another side. how to block udp stream ? on cisco 2960? i am already blocked MAC filter but no action udp stream. anyone suggest to me any idea? and sends the playlist to all its relatives.